If you are thinking about celebrating a special event, whether business, family or personal event, in the heart of La Mancha, Viñasoro offers the perfect event organization in our distinguished complex in Alcázar de San Juan. Discover the opportunities we offer. Viñasoro offers the complete organization of the event according to your desires. You will have a high-qualified professional team at your disposal to turn this unique moment into an unforgettable day. Equipped, modern and functional halls where you could celebrate business events. Our restaurant is prepared to celebrate communions according to your taste in order to make children and adults enjoy the First Communion day. If you want to celebrate a banquet for a great number of guests, with cuisine from La Mancha that respect the products of the land. Celebrate with us a special family reunion, a social or company event, without the noise of the restaurants and enjoying everything. 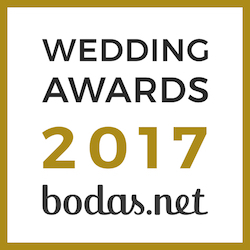 Weddings: You will have a high-qualified professional team at your disposal to turn this unique moment into an unforgettable day, taking care of every detail and paying the necessary attention for such an special day. Communions: Our restaurant is prepared to celebrate communions according to your taste in order to make children and adults enjoy the First Communion day. As it is a unique date, we will make a special celebration. Banquets: If you desire to celebrate a banquet for a high number of guests, with a typical cuisine from La mancha that respects the products and takes care of the food properties, Hotel Château is your perfect place. Celebrations: Celebrate with us a special family reunion, social or business event, without the noise of the restaurants and enjoying everything. We have the capacity to hold every kind of celebration and with a wide range of menus. Congresses: Equipped, modern and functional halls where you could celebrate business events. There are convention halls for any kind of event with a capacity for 400 people.